One of the most quintessential Venetian dishes today, especially in the coastal areas, is Risotto al Nero di Seppia, or simply Risotto with squid ink in English. Influenced by its geography, a third of Venetian dishes have seafood in them. Take Risotto with Crabs for instance. 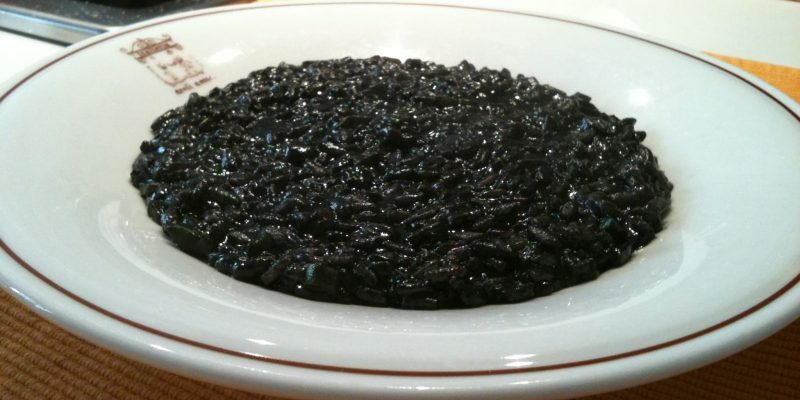 But probably one of the most fascinating dishes from the Venetian coastal areas is Risotto with Squid Ink. 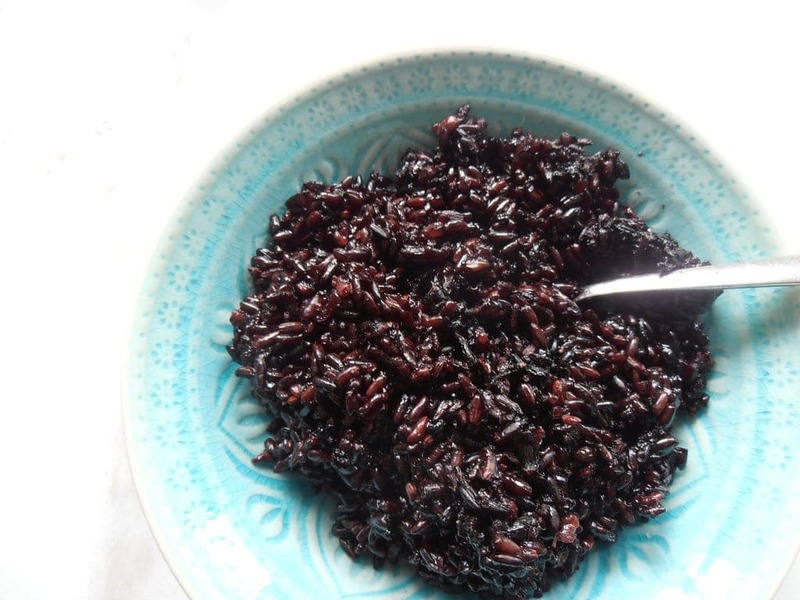 After all, it’s not often you get to see inky black rice that is surprisingly savory on your plate. And squid does not only give dishes a savory flavor of the sea, it’s also highly nutritious. Now, what are the health benefits you can get from it? Read on and find out. As with most seafood, you can get a ton of health benefits from squid. What are these goodies exactly? An essential substance in building and repair of muscles, you can get protein from most red meat. However, red meat is high in saturated fats and toxins, and may increase your risk of cancer and heart disease. Seafood such as squid, on the other hand, is low in fat and has less toxins than most red meat while still a good source of protein. According to nutritionists, a hundred grams of squid yields about 16 grams of protein. And your body needs about 56 grams every day, which makes the amount you get from squid quite substantial, don’t you think? Among the most popular sources of calcium are leafy greens, dairy products, and green beans. But do you know you can also get it from calamari (a.k.a. squid)? A hundred grams of squid yields 32 milligrams of calcium. Squid also contains phosphorous, which is important in maintaining the health of bones and teeth, aids in brain function, improves digestion, and helps detoxify the body of free radicals. 100 grams of squid contains 221 milligrams of phosphorous. Another important mineral for the human body, selenium is good for the heart, increases blood flow, has antioxidant properties, and reduces inflammation. Yes, selenium is good. Squid is also a great source of potassium, which is great in maintaining the health of your nervous system as well as enhances your metabolism and muscle strength. On top of that, it also helps counteract the adverse effect of sodium in the body. A hundred grams of squid contains 246 milligrams of potassium. Now that you know how good squid is for you, let’s proceed to the yummy recipe. In a pan, heat the extra virgin olive oil and add half of the chopped onions. Cook until golden. Add the squid and cook for a few minutes. Next, add the white wine and simmer in medium heat for 30 minutes, stirring constantly. Add water as necessary to keep the sauce from drying up. When squid becomes soft, remove from heat and set aside. In another saucepan, melt the butter and add the rest of the chopped onions. Then, add a cup of fish or vegetable broth and bring to a simmer over low heat. Gradually add two more cups of broth to the rice. Cook for 9 minutes. Add the previously cooked squid to the rice and simmer over medium heat. And add the squid ink and the last cup of broth. Cook for another 8 minutes. When the rice is almost cooked, add salt and pepper to taste. After the risotto is done, remove from heat and add the Parmesan cheese. Mix well. Lastly, sprinkle the finely chopped parsley and combine well with the risotto dish. Put in individual plates and serve while warm. If you want a more intense and fragrant flavor for your Risotto al Nero di Seppia dish, you can replace white wine with brandy. You can buy squid ink from fish shops or buy fresh squid and collect the ink yourself. Just keep in mind that the bigger the squid the more ink you’ll get. Also, make sure to buy squid that are fresh and have not been pre-cleaned. Fresh squid has reddish-brown spots on a white body. We usually eat squid but not risotto squid ink until we discovered this, it is so delicious. Thank you!